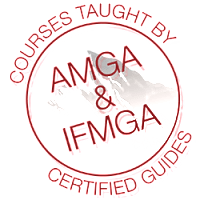 AMGA Single Pitch Instructor - S.E.I. The American Mountain Guides Association Single Pitch Instructor (SPI) Program teaches climbing instructors to facilitate and instruct proficiently the sport of rock climbing in a single-pitch setting. The SPI is the only internationally-recognized single-pitch climbing instructor certification program in the United States. It was developed to fit in the AMGA Rock program. We offer the SPI Course and SPI Assessment frequently throughout the season, and make room for individuals and small groups to choose private dates not listed below. If you need to get a course or exam finished this season but can’t make any of the scheduled choices, then just give us a call and we’ll try to arrange something that works. All of our SPI courses and exams are run by Charlie Townsend, who has been involved with the AMGA’s Single-Pitch Program since its inception. He brings a great deal of experience and insight to the material, but is open-minded and eager to consider alternative approaches. As one of only ten SPI Provider Trainers in the country, he has been exposed to a wide variety of techniques and concepts, and in many cases, has “trained the trainers” offering some other programs out there. Successful completion provides a tangible, recognized certification to reassure potential or current employers, insurance carriers, and land managers. The above prerequisites are absolute minimums. Without having at least this amount experience you are unlikely to make best use of the training. Documentation/climbing resume should be provided at time of enrollment.